12 Napkins. 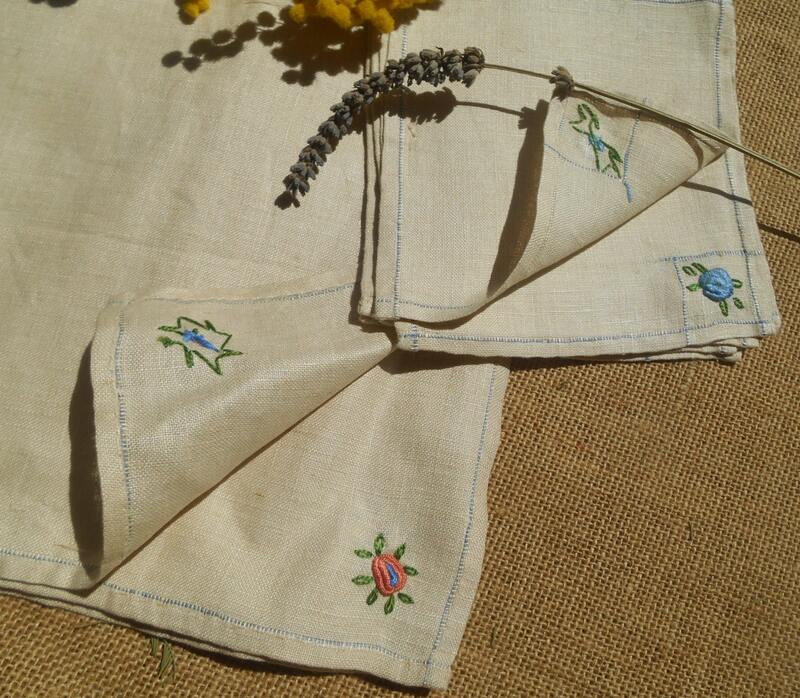 Natural Off White Linen Hand Embroidered. 6 Tea + Matching 6 Lunch Napkins Set. 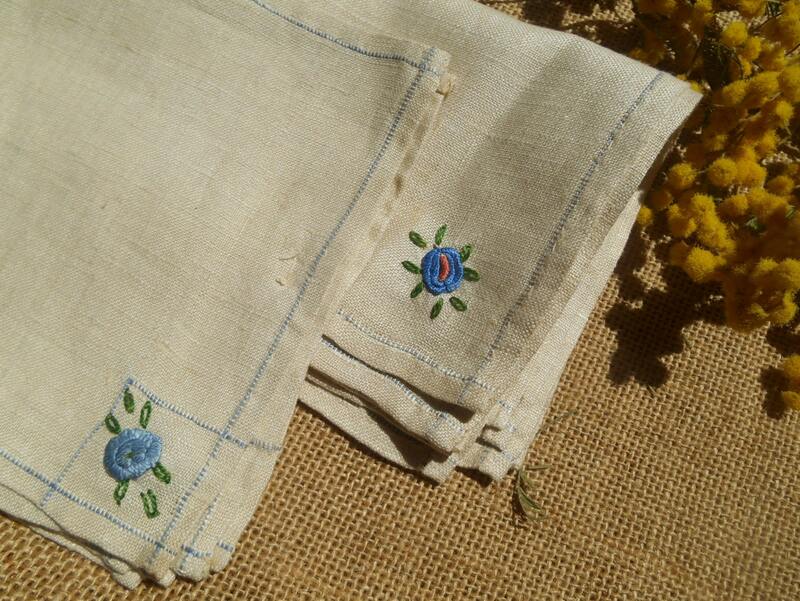 Antique French 1920's Unused.Off white natural linen color. France is a big linen producer. Good vintage condition, unused and unwashed. 6 x Lunch Napkins Size : 9.5 x 9.5 in. 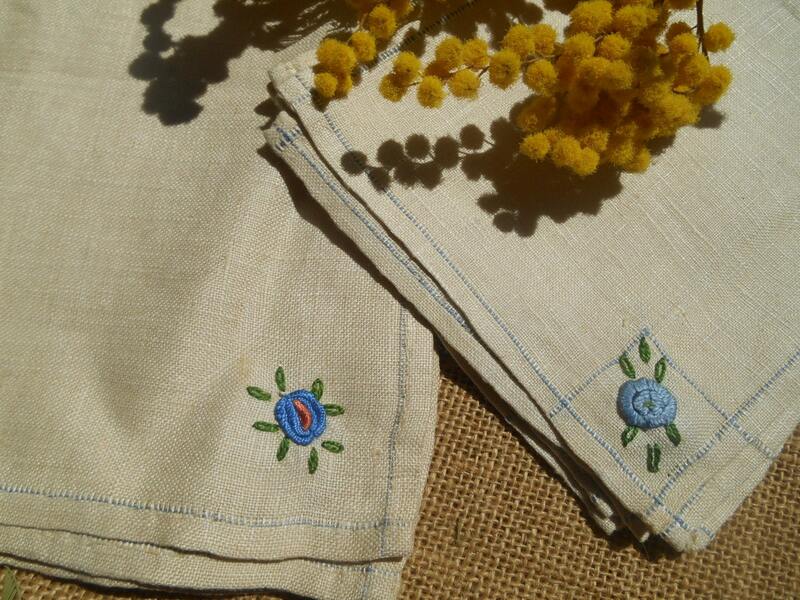 = 24 x 24 cm with two types of color floral embroideries : blue and salmon. 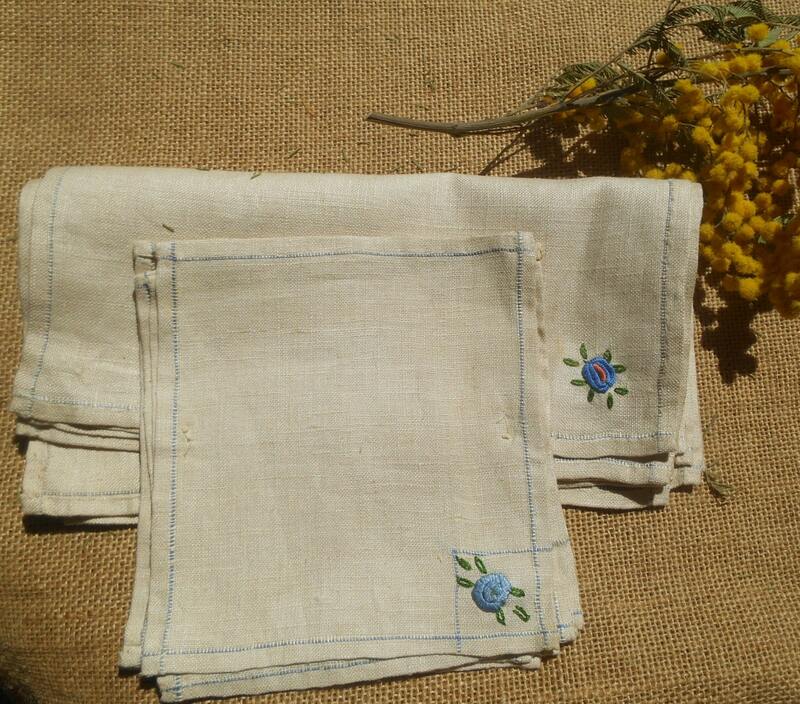 6 x Tea Napkins Size : 5.5 x 6 in. = 14 x 15.5 cm with one color floral embroidery : blue . 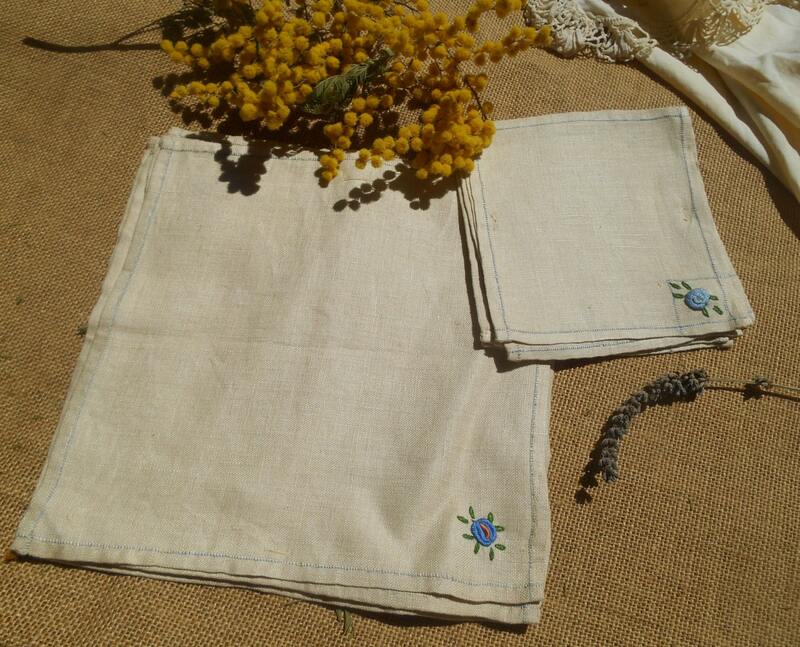 Gorgeous and very natural linen set ! Free shipping world wide- 1 week delivery to the US.